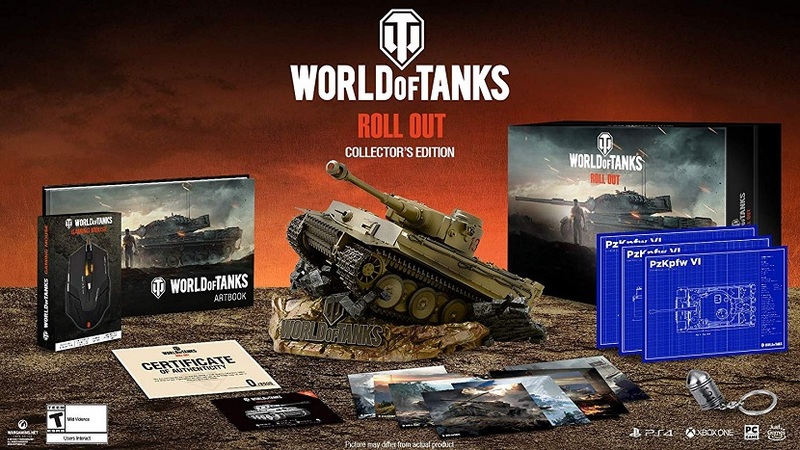 The World of Tanks Roll Out Collector’s Edition, which is already available in Europe, will officially release in North America on April 9, 2019. The $159.99 edition is limited to 5,130 individually numbered pieces worldwide, and is now up for preorder via Amazon for the PlayStation 4, Xbox One, and PC. REPLICA TIGER 131 IN ACTION: 1/32 scale PVC model crafted by the talented Tsume Art (20cm x 28cm x 18cm). TANK BLUEPRINTS: Set of industrial styled blueprints inspired by the most popular tanks of WoT (18cm x 24cm). HARD COVER ART BOOK: 96 pages of full color illustrations depicting the tanks and battlefields of the game (28.7cm x 19.5cm). GAMING MOUSE: 2400 DPI precision mouse compatible with Windows/Mac and features 6 easy access buttons with a textured grip. AMMO KEYCHAIN: Metal tank shell engraved with the number 131. NUMBERED LITHOGRAPHS: Set of high-quality lithographs depicting artistic renditions of armored conflicts (15cm x 20cm). NUMBERED CERTIFICATE: for authenticity (#1-5130). DOWNLOADABLE CONTENT: Redeemable either on PC or console (PS4 or Xbox) platforms. World of Tanks is one of the most popular free-to-play multiplayer games with 180 million users worldwide. 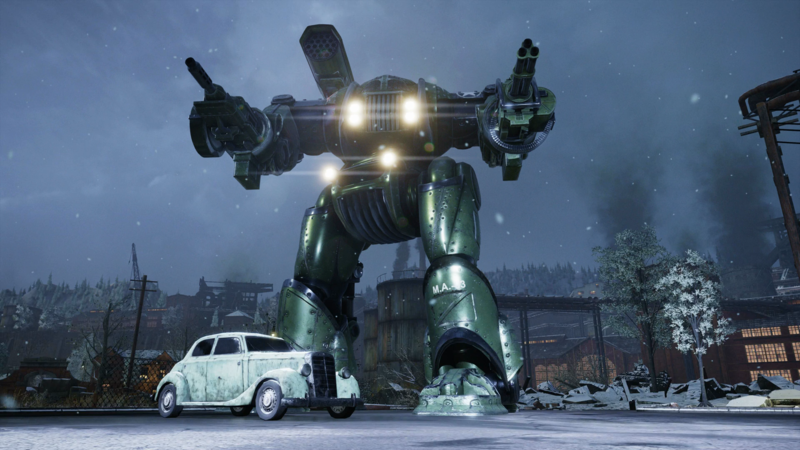 Featuring over 500 vehicles and dozens of maps, the game has players battling it out in historic locations from around the world. For more on World of Tanks, check out our review.